Decades from now, historians will note with irony that socialism was rehabilitated in the United States just as its full depravity came into view in Venezuela. That beleaguered South American country took its first steps on the road to serfdom in 1999, when Hugo Chávez was elected to the first of four presidential terms. The former military officer used Venezuela's plentiful oil reserves to spread the wealth as he consolidated power, harassed dissenters, and joined forces with Castro. Chávez was more than a typical Latin American populist. His regime was the rallying place for the international, anti-American left. His name became an ideology—Chávismo—based on revolutionary politics and centralized control. He was detestable. And he died in 2013. Chávez's successor, Nicolás Maduro, has been even worse. He's Chávez without the mo. He accelerated Venezuela's transition to authoritarianism while devastating its economy and people. "By May 2017, Venezuela's minimum monthly wage wasn't enough to meet even 12 percent of a single person's basic food needs," Enrique Krauze wrote last year. In 2018, inflation in Venezuela was one million percent. Maduro enrolled the country in a socialist diet plan: "A survey of 6,500 households by three prestigious universities," Krauze noted, "showed that 74 percent of the population had lost on average 19 pounds in 2016." Harvard economist Ricardo Hausmann estimates that at least 5.5 million Venezuelans have fled the country. They are the lucky ones. Infant mortality has skyrocketed. Deaths from malnutrition are on the rise. Last December, a heart-breaking article by Meridith Kohut and Isayen Herrera concluded: "In a five-month investigation by The New York Times, doctors at 21 public hospitals in 17 states across the country said that their emergency rooms were being overwhelmed by children with severe malnutrition—a condition they had rarely encountered before the economic crisis began." One pediatrician who visited a Caracas hospital told the Times, "Never in my life had I seen so many hungry children." Venezuelans have come to learn, as so many millions before them, that "democratic socialism" is a mirage. Why? Because once you move beyond the welfare state, socialist planning and leveling require inequalities of power that lead to restrictions, rations, political monism, and despotism. Last year, Maduro "won" reelection in a fraudulent contest boycotted by the opposition. Inauguration Day was January 10. 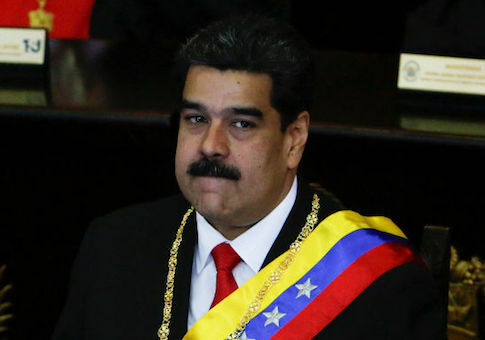 But, since the result was invalid, the opposition-controlled National Assembly, the Venezuelan bishops, and 19 members of the Organization of American States, including the United States, declared Maduro's presidency illegitimate. 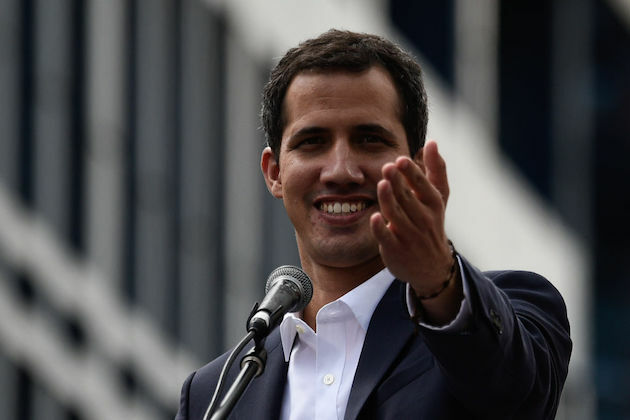 On Wednesday, President Trump took the extraordinary step of recognizing the president of the National Assembly, 35-year-old dissident Juan Guaidò, as Venezuela's rightful leader. The largest anti-government protests of the Chávez-Maduro era ensued. At the time of writing, 14 people have died. Maduro is rattled. He has ordered U.S. diplomatic personnel out of the country—a direction we have ignored because it does not come from Guaidò. "All options, always, all options are on the table," President Trump said the other day. The crisis will end when Maduro leaves Caracas for Havana and democracy and the rule of law are restored in Venezuela. What we are witnessing is the birth of a "third force," a People Power movement that seeks the end of autocratic socialist rule in Venezuela. By sanctioning Maduro's government and backing Guaidò, President Trump has become an agent of freedom. He is performing the greatest of presidential roles—that of global leader for the advancement of popular sovereignty and equal natural rights. That is what makes our great-power adversaries so nervous. Look at who supports whom. Brazil, Argentina, Chile, Canada, Peru, Colombia, Paraguay, Ecuador, Guatemala, Costa Rica, and Honduras back Guiadò. Mexico, Bolivia, Cuba, China, Turkey, and Russia are for Maduro. Also Hezbollah. When Hezbollah is on your side, you've hit bottom. The replacement of Maduro with Guaidò would help arrest the democratic recession that began in 2006. It would thwart China's plan to gain a foothold in the Americas through economic assistance to Venezuela. And it would deprive the Cuban dictatorship of a key ally. Cuba arms and trains the colectivos, or paramilitary gangs, that terrorize the population. Its Communist leadership should pay for its reckless intervention. If Venezuelans can retrieve lost freedom, perhaps Cubans can too. The big question is the military. Maduro is working hard to keep it on his side. There are some signs of cracks between the leadership and rank-and-file, but not yet enough to roll back Chávismo. A former Venezuelan general exiled in Washington told the Miami Herald, "The armed forces today do not have the capacity or the desire to go against the population in a massive protest." Which suggests a possible strategy. It should be the policy of the United States and her democratic allies to encourage, support, and sustain the anti-Maduro marches of the past week. Finance Guaidò, his friends, and his institutions. Tighten the sanctions on Maduro and his cronies. And begin to zero out purchases of Venezuelan petroleum. The repercussions for markets would be minimal. Venezuela's oil output is already at a 30-year low. Turn off the spigot entirely and heighten the contradiction between the generals' self-interest and the bankrupt regime they serve. Nor should the democracies be so quick to rule out military assistance. It is only after they are made to feel the threat of force that tyrants leave the scene. America could deploy naval assets, including a hospital ship, to the region and declare that we are ready to provide the new government humanitarian aid. Consider the alternatives. Venezuela could fall into civil war. Or Maduro might take a page from Bashar al-Assad's playbook and invite foreign militaries to secure his rule. This idea is not as far-fetched as you might think. Recall that, at the end of last year, Russia deployed two Blackjack bombers to Venezuela. The bombers withdrew after the United States protested. But not before they had sent a message. A message the United States should reject. Why not announce instead that the presence of Spetznaz constitutes a red line? It's one thing to cede Syria to Russia. It's quite another to sit still while little green men hunker down in the Western Hemisphere. There's a reason the Monroe Doctrine stood for close to 200 years before John Kerry decided it was obsolete. America's security is jeopardized the closer our adversaries get to our shores. And if the security of the mainland isn't a "vital interest," what is? Better yet, move quickly and discreetly to assist in Maduro's removal so that the autocracies do not have the advantage. At the very least, do everything possible to remind Maduro of the fate of Manuel Noriega. That might frighten him into seeking refuge elsewhere. Above all, President Trump and America's allies must amplify the calls of the Caracas marchers. One young woman, risking her life, told CNN, "The young people of my country need freedom." We all need freedom. Venezuela needs freedom. Maduro must go. This entry was posted in Columns and tagged Nicolas Maduro, Venezuela. Bookmark the permalink.